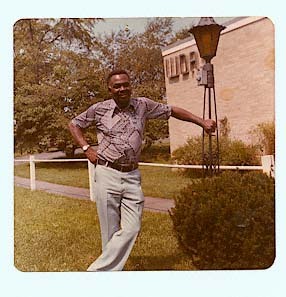 Ulysses Kae Williams was a pioneer Black broadcaster in the Philadelphia area, working from 1945 to 1986 on such stations as WDAS, WHAT, WSSJ and WCAM. He also had a TV show in 1964. After military service during World War II, he returned to Philadelphia where he became a music promoter and disc jockey. Among the groups he managed were The Silhouettes, The Sensations, Solomon Burke and Yvonne Baker. The Silhouettes and The Sensations sold millions of copies of "Get a Job" and "Let me in." Unfortunately, Williams did not hold the copyrights to the songs, and like many of that era, came away with little in the way of money. In 1954, Williams introduced B.B. King to radio. In 1978 he was presented the first Mary DEE Award, presented by the Phialdelphia. Record promoters Association for outstanding community service and broadcasting. Active right up to the time of his death with "reunion" broadcasts, and community efforts to help the youths, Williams was well known and respected both in the broadcast industry as well as among Philadelphians. Williams at WDAS Radio, Philadelphia.